In this day and age, women tend to be busier than before. With all the family and career strain mothers carry daily, it reaches a point whereby a bit of relaxation is needed. To make this an effective rest period, one can decide to work out, read a book or even listen to their favorite musical piece. For those who love reading as their hobby, downloading books online can be a great help. There are usually free downloadable audio books, too, which you can listen to from the comfort of your home or workplace. These forms of relaxation work wonders to anyone ready to indulge in them. This entry was posted in Rest and Relaxation on October 31, 2012 by Yami. I was a hefty person three months ago. 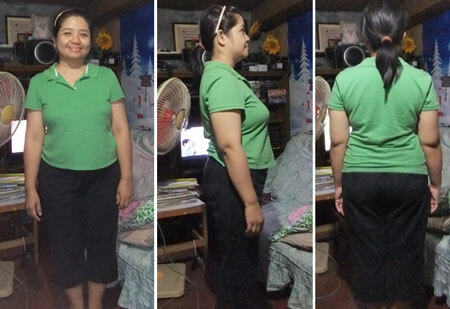 But with the help of an online weight loss challenge, I gradually lost an estimated 13 pounds. I’m still big, but my family and friends can see the big difference now. I’m happy with what I have gained so far without resorting to any medical intervention. My family’s support counts a lot to keep me motivated. I’m religiously following a cardio and toning exercises (which I downloaded from the net), but stay on the modified version of the exercise (to keep me alive haha!). The fitness instructor’s voice is loud enough (even without using a mic) to help me stay focused. I’m enjoying level 2 of the Jillian Michaels 30 Day Shred so far. This entry was posted in Weight loss journey on October 29, 2012 by Yami.